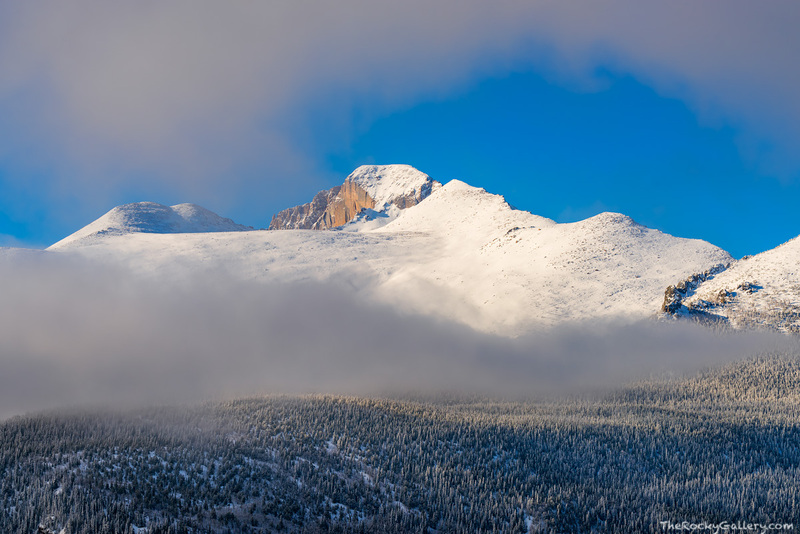 As is typical for Rocky Mountain National Park in late April, heavy spring snows fall and cover the mountains with plenty of powder. Rocky Mountain National Parks highest peak, Longs Peak received a nice coating of fresh snow the night before and is shining brightly in the spring sun as the clouds part with the passing of the storm. Photo © copyright by Thomas Mangan.